The Black Hills, originally home to the Lakota native Americans (the name is a direct translation), got there name due to the dark appearance of the thick trees populating the area. 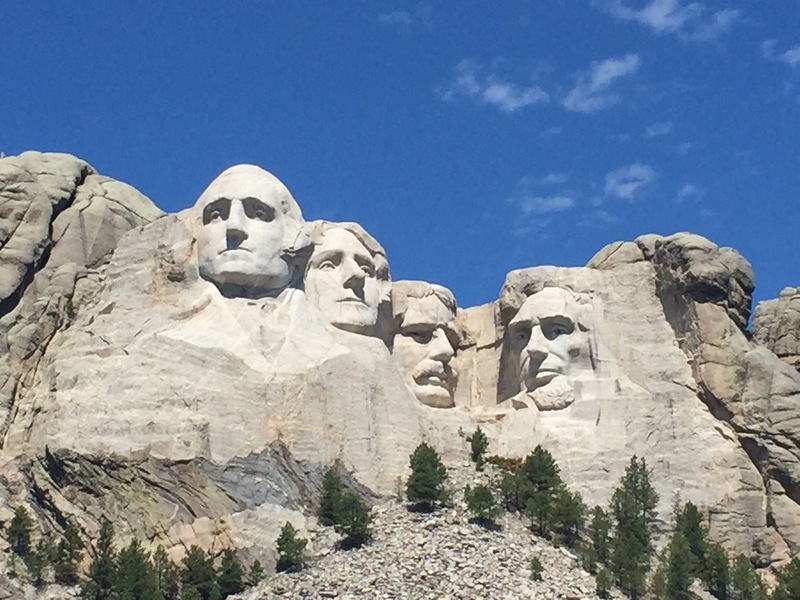 Most notably, it houses Mt Rushmore and the Crazy Horse memorial, as well as a myriad of other interesting features. The area blew up in 1874, after George Custers expedition into the area revealed something hiding deep within the hills. Gold. The hills were peppered with caves and cave networks, all rich in precious metal and minerals. Still to this day, the caves remain a main attraction in the area, drawing tourists from around the world who have an enthusiasm for spelunking. The main attraction in the hills however, is of course Mt Rushmore itself. 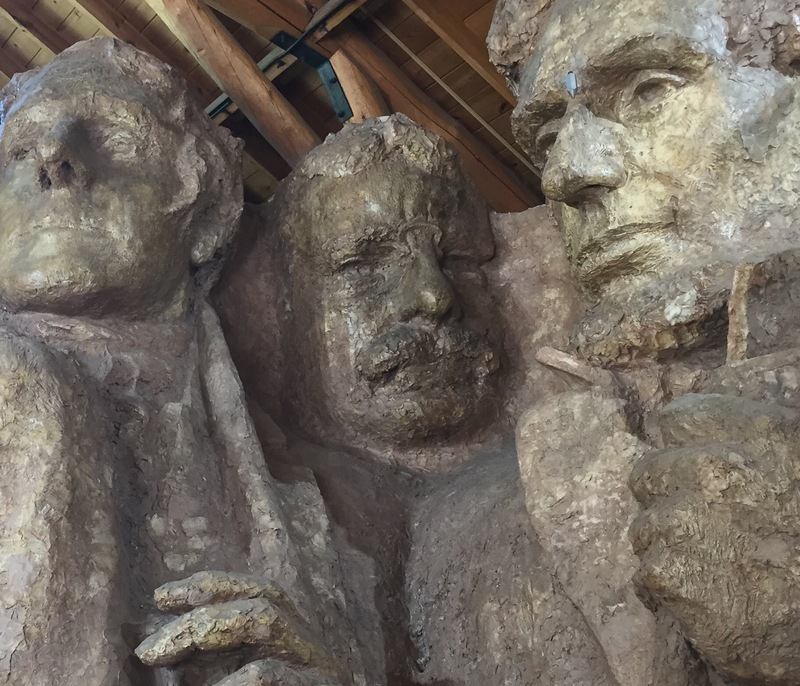 Started in 1927 by Gutzon Borglum, a Danish American immigrant, and his son Lincoln, they crafted the faces over a period of 12 years, the final face being completed in 1939. 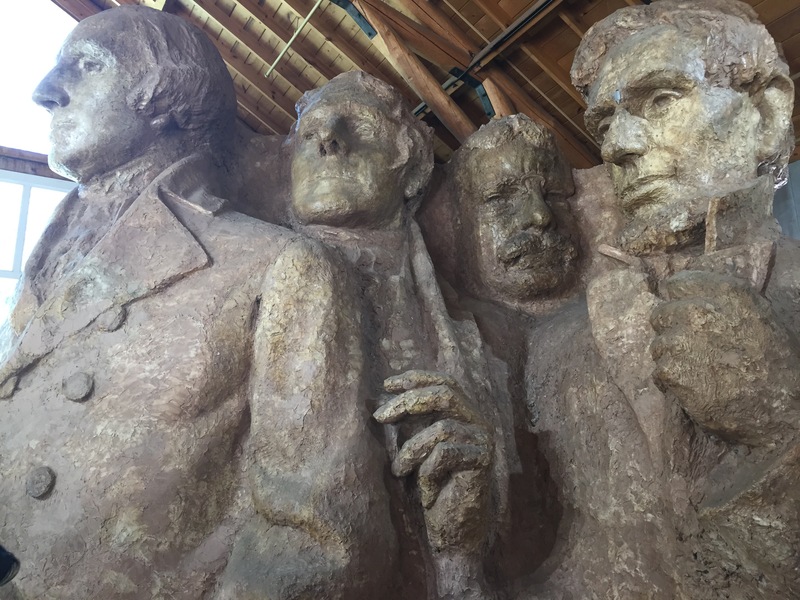 Originally, the work was supposed to show American heroes, Lewis and Clark, Buffalo Bill, and Red Cloud. 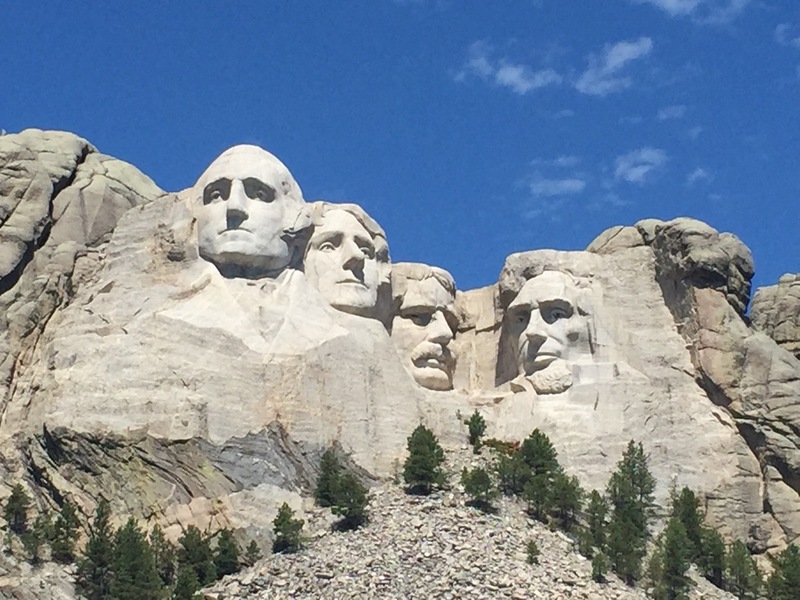 Gutzon decided to take a more nationalistic direction though, and thus Washington, Jefferson, Roosevelt, and Lincoln found themselves plastered upon the mountain. One thing I didn’t know, but is actually evident when you look for it, originally the statues were intended to each have a complete torso, not just the head. The monument when finished would have looked like this. And if you look at Washington you can see where they started work on his torso. 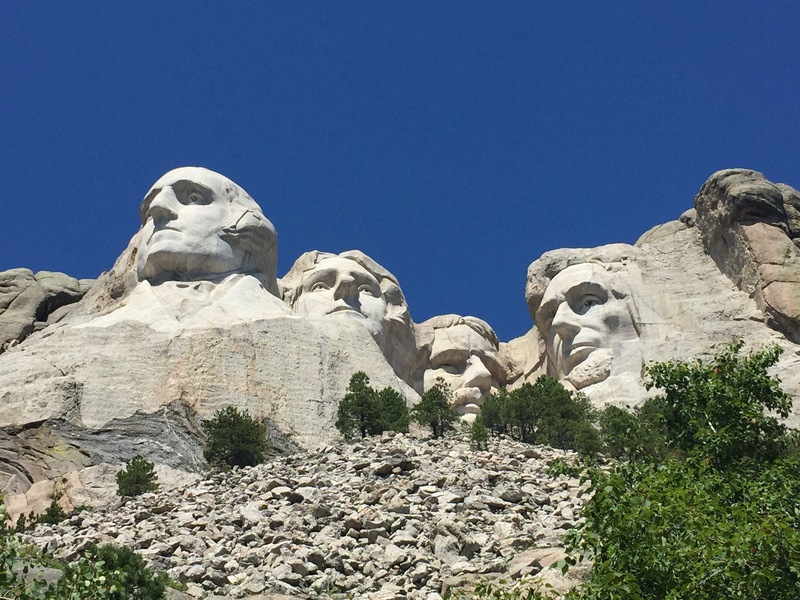 Unfortunately, after Gutzon’s death in 1941, his son took over, and just a few months later construction was called off due to a lack of funding. The project was never completed. Even so, it remains one of the most iconic features of this country, and manages to attract over two millions visitors annually. As we ventured into the park, adding two more to the tally, it was evident that this was a popular destination. 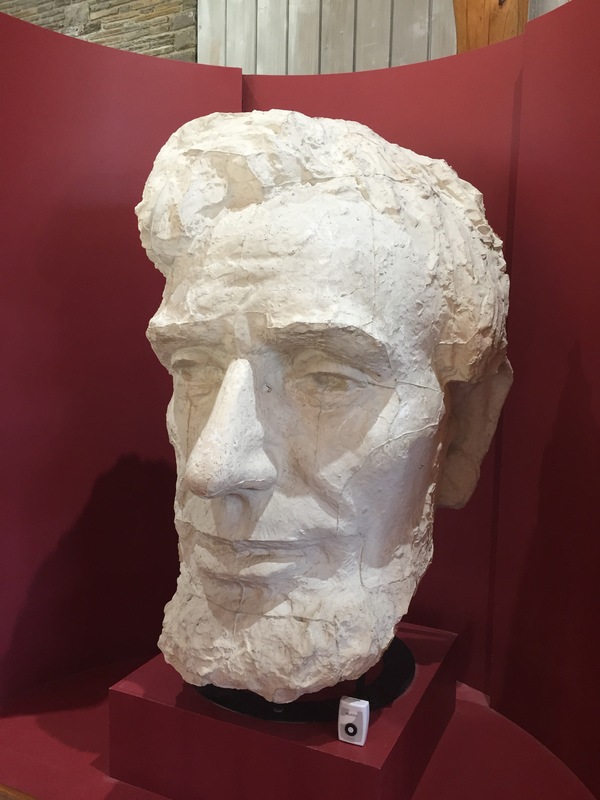 Throngs of tourists lined the marble walkways leading up to the viewing plaza, many of them simply relaxing beneath the unblinking gaze of their predecessors; and for the first time, all of them were American. Looking out upon the visage of our first 130 years as a country, there’s a feeling of patriotism, history, even gratitude, that hangs in the air. The first thing I noticed about the statues though, they aren’t as big as I imagined. About 60 feet tall, they loom over you, big certainly, but not colossal. As you walk the presidential pathway, a short half mile walk around the base of the mountain, you’ll find four clearings, each offering a view catering to one of the four presidents. Excited to see more, I blasted past wheezing tourists struggling up the hundreds of stairs, children screaming to be carried, families blocking the path to take a mundane selfie, all of the usual tourist staples. This didn’t perturb me one bit however, as my mind was fixed solely on the massive head of Teddy, which appears to be creeping suspiciously over Jeffersons shoulder. I got quite a kick out of this. 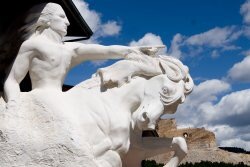 Further to the south you will find another massive statue, privately owned, and depicting the Lakota warrior Crazy Horse. An incredibly ambitious project taken on by the Lakota in 1948, the project is still years and years away from completion, as they have encountered the same problem Gutzon encountered when scouting locations for Rushmore, unstable earth. The Crazy Horse memorial, if finished, will be the largest statue in the world, depicting Crazy Horse pointing off into the distance, riding his steed over a planned man-made lake that will surround the monument. Thus far however, they have only completed the face, and progress is slow. 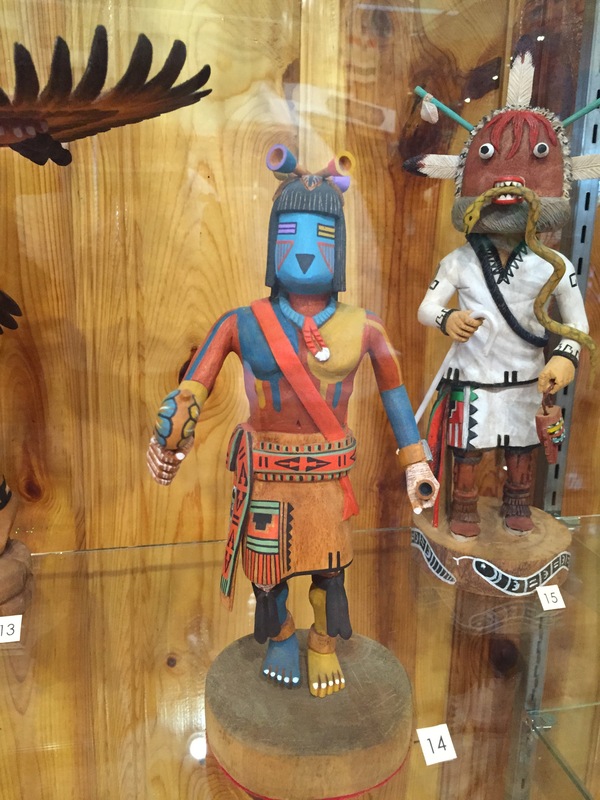 In the meantime, a large scale museum has been erected a short ways from the base of the sculpture, showcasing an impressive collection of Native American works and cultural items. 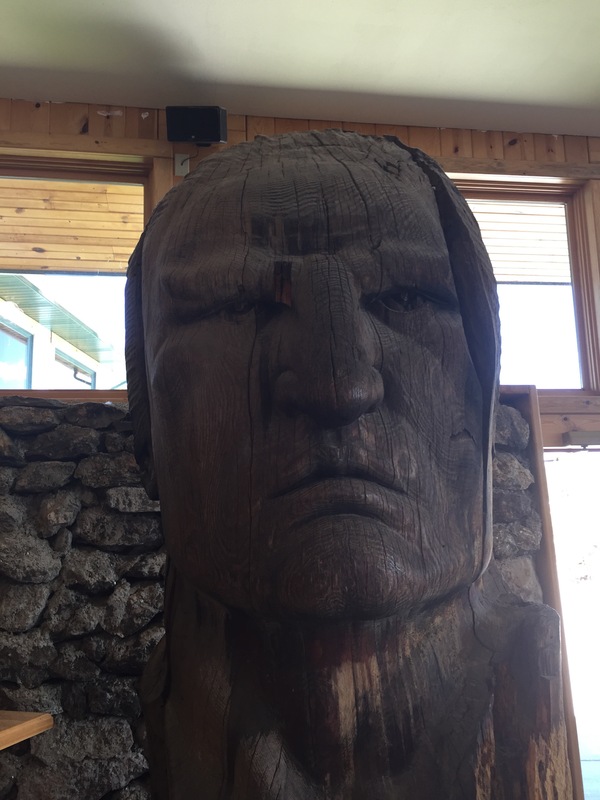 This, coupled with the largest authentic Native American store I’ve ever encountered, creates an unprecedented tourist trap, as people mill about on the viewing terrace, casually discussing the horse hair pottery they’ve just purchased and staring off at half of Crazy Horse’s face. 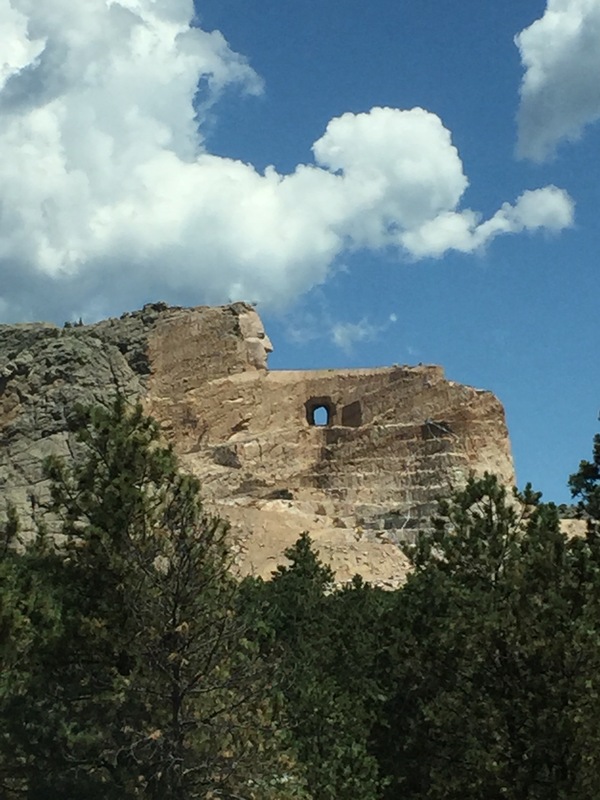 All in all, both Crazy Horse and Mt Rushmore are worth a visit. 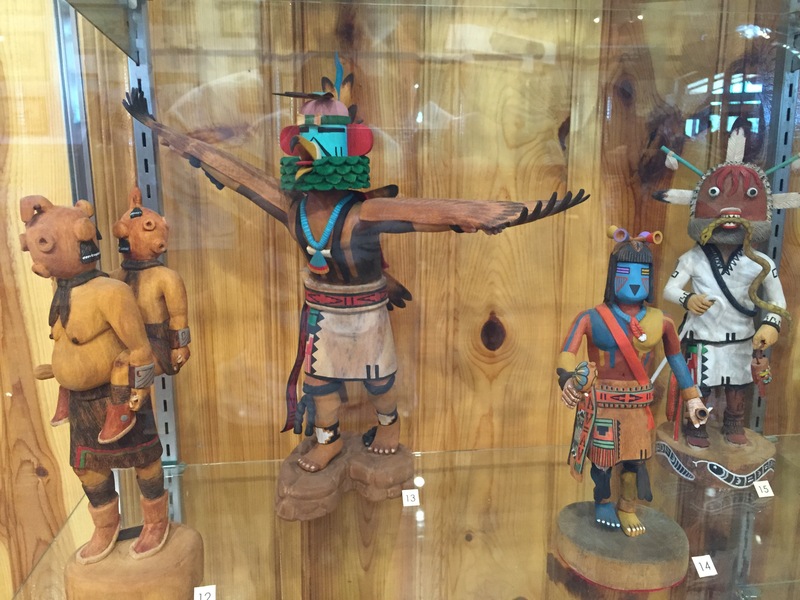 There’s plenty to do in the black hills area, one could easily spend a week expiring the forests and caves, but to see these testaments to our countries past, well, it should speak for itself.